Nothing tugs at a Swede’s gastronomic heart strings like “glögg” at a winter gathering. Just the thought of this Nordic version of mulled wine — scents of cinnamon, cardamom and cloves wafting through the house — can bring a tear to an expatriate’s eye. Next to the joys of a midsummer celebration, the winter glögg party may very well be one of the most nostalgia-inducing of Swedish traditions. In Sweden, glögg parties kick off the holiday season in workplaces and homes. 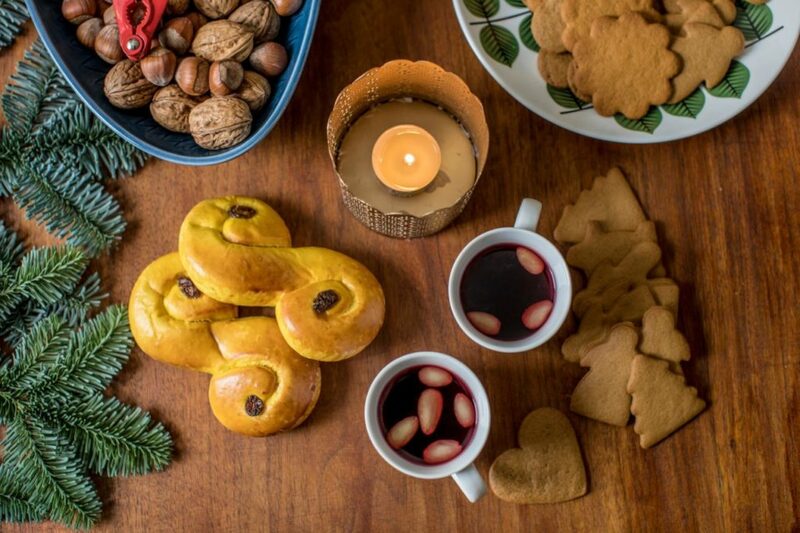 Abroad, the craving for glögg is the cause of IKEA pilgrimages — for Swedes, Christmastime hasn’t quite arrived until you’ve become suitably tipsy on mulled wine (paired with saffron buns and ginger snaps). Now, Wine Country Swedes (immigrants like myself and those 25,128 Sonoma County residents claiming Scandinavian ancestry) can find their favorite warm winter drink at home — instead of heading to the yellow and blue big box store in Emeryville or Palo Alto. God Jul (happy holidays) and skål (cheers)! 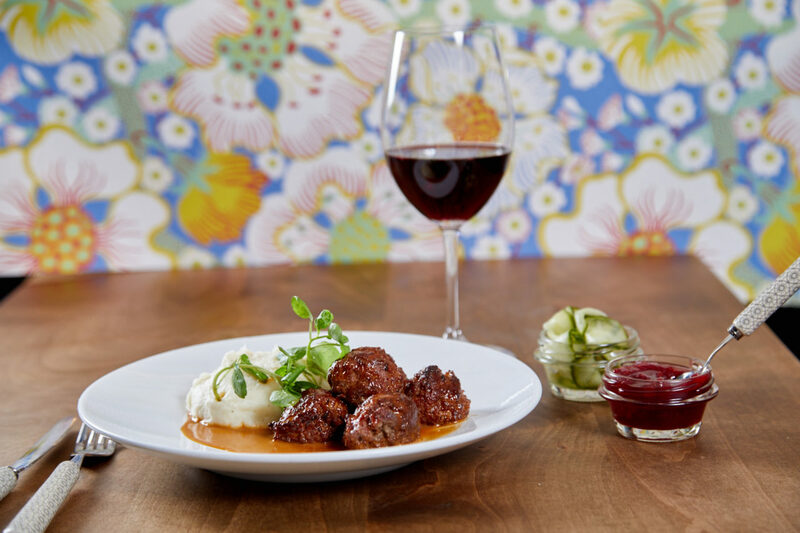 The only Swedish restaurant in Wine Country will do its patriotic duty by putting on a traditional “julbord” — a family-friendly buffet-style smorgasbord featuring holiday specialties — on Saturday, Dec. 15. Swedish chef and restaurant owner Roberth Sundell, along with his wife and business partner, Andrea, will serve house-made glögg with candied almonds and raisins, a variety of pickled herring (mustard, grandma’s classic, saffron and leek), dill-cured salmon (“gravlax”), hot mustard-baked Christmas ham (“julskinka”), ginger-glazed spareribs, Swedish meatballs and more. For dessert, guests will enjoy Santa’s rice porridge and homemade treats. All menu items are made from scratch by chef Sundell, including a pig’s head terrine (“sylta”) and moose pâté. 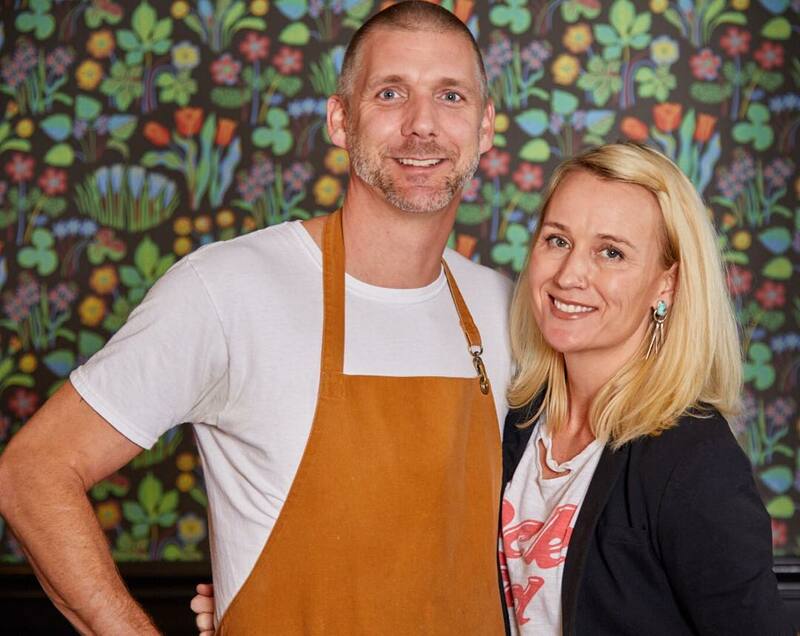 The holiday season is particularly busy for the Sundells, who own a second Swedish restaurant in San Francisco, Pläj, where they serve julbord every Sunday in December leading up to Christmas. The event has become increasingly popular — this year, they’ve served 90 guests at each seating at Pläj and the Stockhome event is nearly sold out. If you can’t make it to the julbord on Dec. 15, Sundell’s glögg — made from a recipe he’s been perfecting for nearly 20 years — will also be served at Stockhome on Thursday, Dec. 13, for Swedish Lucia. “The secret to making good glögg is to keep tasting and adjusting the ingredients to make sure it’s not too sweet, but sweet enough to taste all the spices,” advises Sundell. The Swedish chef likes to add vodka, cognac or brandy for “an extra kick;” he includes plenty of cardamom, ginger, star anise, allspice and orange peel “to bring out the flavor”; and adds dried fruit (plums, apricots, raisins, dried apples) to add sweetness. He emphasizes the importance of heating the glögg slowly and making sure it never boils, as this causes the alcohol to evaporate. During the holiday season, Sundell has particularly fond memories of working at restaurants in Sweden, where glögg would be served to guests outside as they waited in the cold winter night before going inside to the warmth of the julbord. The Swedish chef, like many of his countrymen, takes pride in keeping up culinary traditions. While he likes to incorporate foreign and modern influences into his cooking, his Stockhome julbord is a classic holiday meal, the kind you would find in a Swedish home on Christmas Eve (Swedes celebrate Christmas on Dec. 24). Stockhome’s Julbord has three seating times available — noon, 3 p.m. and 6 p.m. on Saturday — reservations can be made at stockhomerestaurant.com. 220 Western Ave, Petaluma, 707-981-8511. Katarina Bonde and Bengt Akerlind came from Sweden to Seattle in 1992 and then moved south to Healdsburg, where they started making wine. 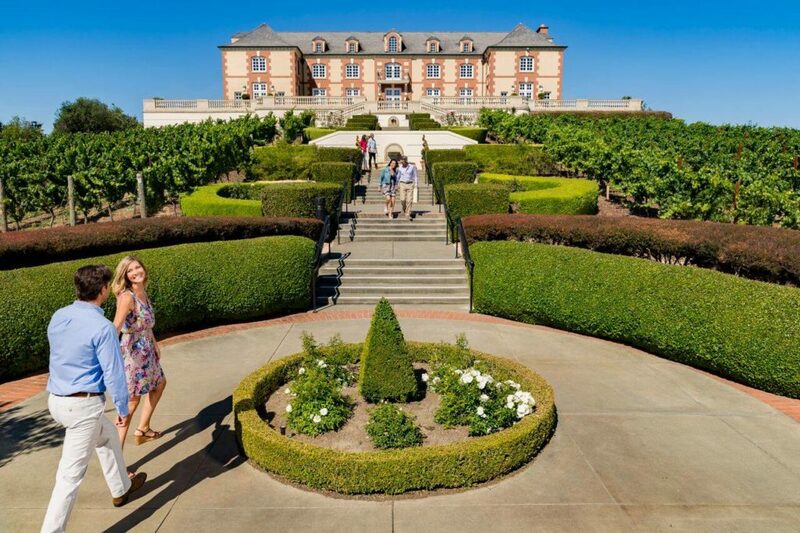 Their French-style wines can be found in the U.S. as well as in restaurants in their native country; their 2005 Cabernet Sauvignon Reserve was served at the 2010 Nobel Prize banquet in Stockholm. Unable to buy glögg in the United States, Bonde has been making her own since the early ’90s. 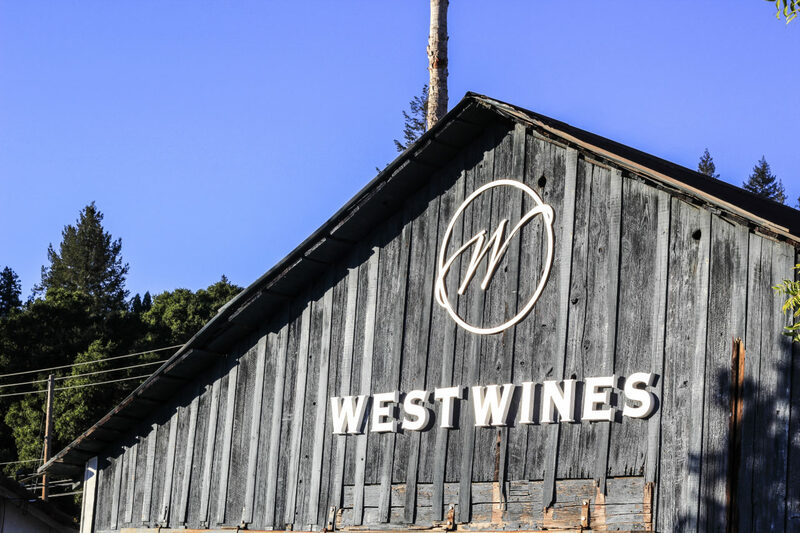 After opening the West Wines tasting room in 2011, she has been serving the drink to guests during an annual glögg party that takes place on the first weekend following Thanksgiving. Bonde makes her glögg a couple of weeks before the party so that the flavors can blend together. In addition to the traditional ingredients — wine, brandy or cognac, cinnamon sticks, cloves, and cardamom — she uses dried orange rinds and brown sugar, instead of the refined white version, as this lends extra flavor. She always saves a couple of bottles for the following year — according to Bonde, the year-old concoction tastes better than any other glögg. The annual glögg gathering at West Wines is one of the winery’s most popular events. Quarter Swedes, eighth Swedes; anyone who can claim even the tiniest bit of Swedish ancestry, seems to show up for the party, says Bonde. And each year, there are increasing numbers of non-Nordic glögg converts. Katarina Bonde brings Swedish holiday decorations to her Healdsburg tasting room, including “tomtenissar” (gnomes). As is the Swedish custom, Bonde’s glögg is served with raisins and blanched almonds, and is paired with ginger snaps and other sweet treats. The Healdsburg tasting room is decked with handmade ornaments, which Bonde buys in Sweden. Each year, she brings a suitcase filled with straw yule goats, advent star lights and “tomtenissar” (gnomes) on a flight from Stockholm to San Francisco. This year, when returning from Sweden just before Thanksgiving, her suitcase was lost at the airport. The panic-inducing incident was resolved when her gnome-packed luggage was retrieved circling alone on the wrong conveyor belt. Could this have been the work of pesky gnomes already practicing their holiday tricks? West Wines tasting room manager Virginia Scirrotto is convinced that, as soon as the lights are out, the gnomes get busy making mischief among the wine and glögg bottles. 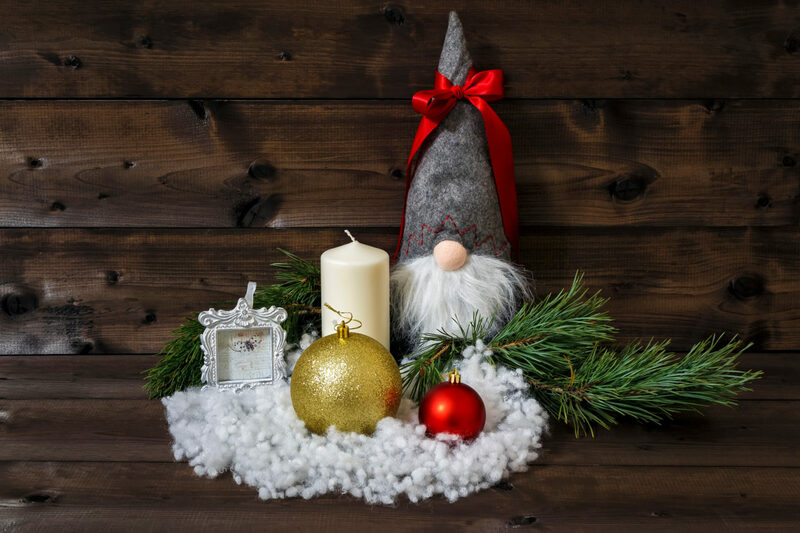 The Swedish gnome decorations are sold to guests throughout the holiday season, in addition to being on display in the tasting room. Blame it on the gnomes or the glögg-thirsty visitors, this year’s batch of mulled wine has already run out, so make sure to mark your calendars for next year’s glögg party at West Wines (it’s an “open-house event” but reservations for seated glögg-tastings can be made in advance on the winery’s website). The mischievous gnomes are still available for purchase at the tasting room. West Wines, 1000 Dry Creek Road, Healdsburg, 707-433-2066, westwines.com. 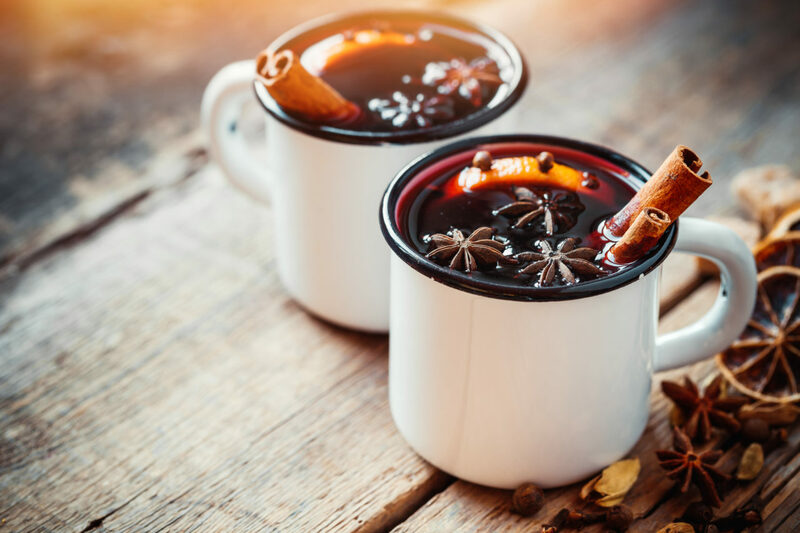 Swedish native, winemaker and “glögg master” Mike Sjöblom makes his own version of the mulled winter drink using 2016 vintage wine. In contrast to most Swedes, who tend to use less expensive red wine for their glögg, Sjöblom stresses the advantage of being a little bit more discerning. “To make good quality glögg, it is imperative to start with a good quality wine,” says Sjöblom, who is one of only a handful of winemakers that use their own wine to make glögg. 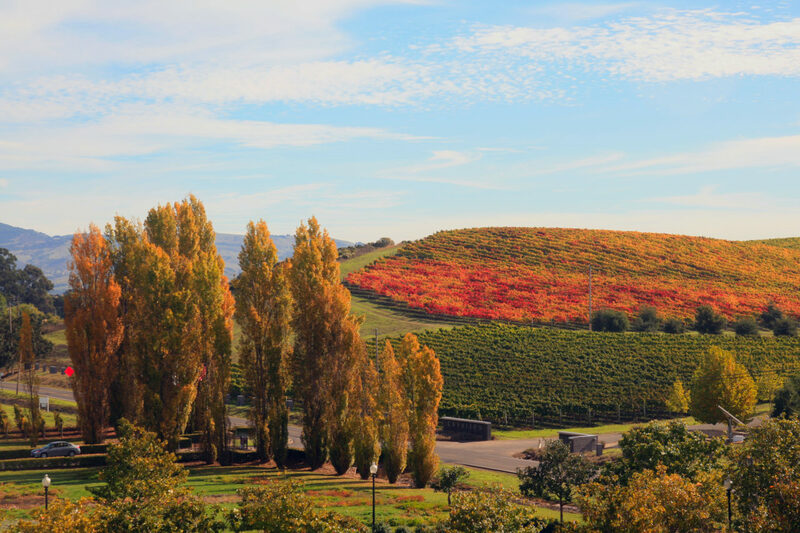 The Napa vintner prefers to work with natural flavors: full-flavored wine (“to bring forward the fruit”) and organic ingredients (“to create the characteristic glögg flavor”) are carefully blended. The use of this process, according to Sjöblom, eliminates the need for too much sugar. Those interested in sampling Sjöblom’s glögg can organize a tasting party — the Napa winery will provide bottled glögg, and some reading material about the drink, to events with ten participants and more. Bottles can also be ordered online, on the winery’s website. Make tasting reservations and purchase glögg at gloggclub.com. 707-363-6035. The following recipe is from Katarina Bonde of West Wines, who recommends using a drinkable but affordable red wine. Mix all ingredients and let simmer in a pot. Do not let it boil since the alcohol will evaporate and alcohol enhances the flavors from the spices. Let wine and spices cool off and pour into empty bottles or some other vessel that you can close. Let rest overnight and reheat when you want to use it (remember not to boil it). The glögg can be saved and used throughout the holiday season. Serve in small cups and garnish with some raisins and almond slivers per cup. Make sure you also have teaspoons so the guests can get the soaked raisins out when they have finished the cup. They are great! Be the first to know where to eat and drink! 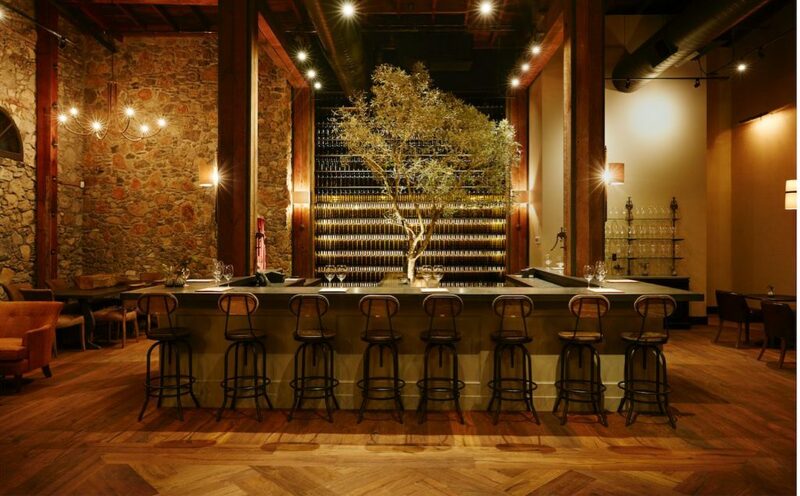 Dining editor Heather Irwin picks her favorite Sonoma County restaurants right now.